Come embrace the dark and celebrate the coming of the Light. 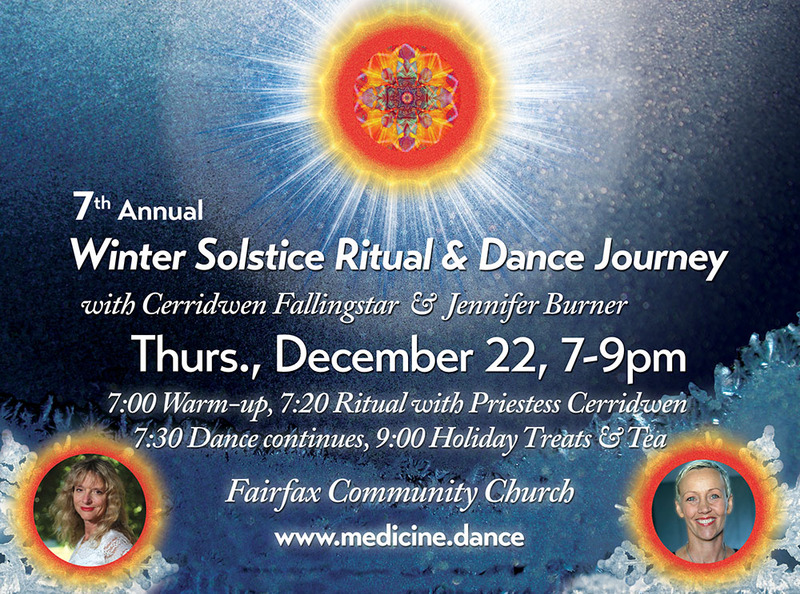 The Musical Enchantment starts flowing at 7pm with Jennifer Burner; High Priestess Cerridwen Fallingstar leads us in a short Winter Solstice Ritual at 7:20; Dance until 9 to be followed by Holiday treats. Shamanic journey to powerful little known sacred sites on the Big Island of Hawaii, with Hawaiian elder Willie Iaukea.